Demand for the iPhone 6 continues to outstrip Apple's ability to keep up with supply, as a new survey from UBS has led the investment firm to increase its projected sales for the March quarter to a whopping 58 million units. 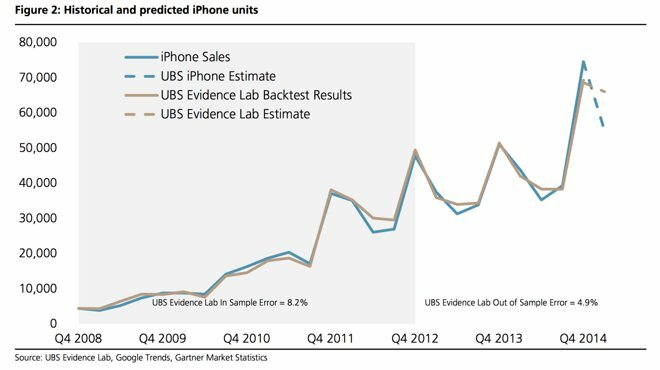 The UBS Evidence Lab's iPhone Monitor estimates that demand for the iPhone in the March quarter will be at 66 million units. With global demand outstripping supply, analyst Steven Milunovich has increased his forecast for the quarter, from 55 million units to 58 million. Milunovich's numbers are higher than Wall Street, which currently has consensus at about 54 million iPhones for the quarter. To put the numbers in perspective, Apple sold 43.7 million iPhones in the same quarter a year ago. Apple has only topped 50 million iPhones twice in its history, and both times were holiday quarters the last two years. Milunovich's bullish outlook for iPhone sales comes on the heels of a separate forecast from Barclays issued earlier this week, in which the investment firm called for Apple to sell 54 million iPhones in the March quarter. But even Barclays analyst Ben A. Reitzes admitted his estimate, which would represent a 24 percent year over year increase in sales, is "conservative." iPhone sales saw a massive 46 percent increase in the preceding December quarter, reaching record sales of 74.5 million units in the three-month span. Because the iPhone lineup is updated just once a year in September, sales peak during the holiday quarter and then gradually decline from quarter to quarter until the next refresh. UBS's iPhone Monitor figures utilizes individual search results for over 20 countries, weighted by respective country data from Gartner Market Statistics. Further adjustments to the model are made to account for quarterly variances and seasonal effects, based on a sample period from calendar Q4 2008 to calendar Q4 2012. The latest data from UBS shows that sales in China are driving the potential for an upside surprise in the March quarter. Specifically, searches for the iPhone in China are up 115 percent year over year and 7 percent sequentially. In addition, continued demand is also being supported by existing iPhone user upgrades, as well as switchers from Android and other platforms. 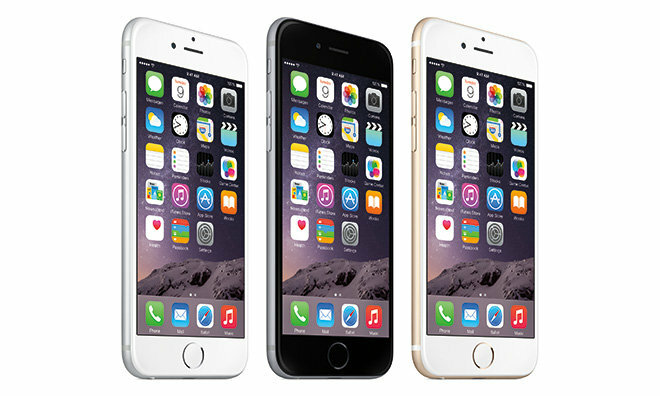 A survey conducted by UBS shows that just 13 percent of iPhone users have upgraded to the latest iPhone 6, while 20 percent of Samsung users are considering a switch to Apple. UBS has maintained its 12-month price target of $150 with a "buy" rating for investors.